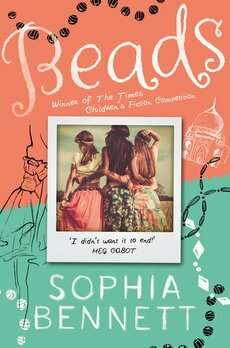 Sophia Bennett won The Times/Chicken House Competition 2009 with her fabulous debut children’s novel Threads. Her great loves are art and design, her four children, fashion magazines, cappuccino, her husband and her job (but not necessarily in that order). She lives in London with her family and has also written for The Times and The Guardian newspapers. Sophia has written three books in the Threads series, along with several other novels for teenage girls. Sophia Bennett won the Times Children’s Fiction Competition in 2009.